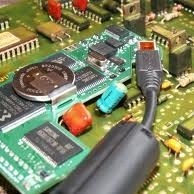 We can custom tune any Ford EEC IV,EEC V, PPC, COPPERHEAD, TRICORE, MULTICORE to present PCM and all carburated vehicles. Also we can tune various aftermarket fuel injection, nitrous, timing controllers and systems. We will host special dyno events, keep an eye on the home page for upcoming announcements on our next Dyno Day. $150.00 per hour for baseline testing and custom calibration with the use of a wideband O2 with a $600 minimum for any custom tuning, we prefer to flat rate the natuaraly aspirated tuning fees to $725 and Forced induction to $850. What’s the difference between base tune and custom tune? Base tune: Generally these files are used to get the vehicle from point A and to point (dyno facility). It can also be a baseline file for the end-user to begin tuning there vehicle with that will contains basics such as engine displacement, injectors, maf, axle ratio*, Ignition timing**, Fueling **, and other initial changes made for your naturally aspirated or forced induction combo. No updates are provides nor is tuning assistance. These files are purchased “as is”. They are a great start but will always requesting custom dial in on your part. If you real a point where the calibration of your vehicle is beyond the scope of you expertise we offer $100 credit if within the first 30 days towards a remote tune session. Custom tuning: A custom tune will entail the user providing all engine, transmission, and axle modifications so POPSRACING may create a base calibration to tune your vehicle. The number 1 between a base tune and custom tune is POPSRACING will remote onto your machine with you expressed permission and custom tune the vehicle (read datalogs and make changes live at a predetermined data/time). We will fix all aspects of the calibrations*** such as idle, drivability, performance, shifting, torque convertor lockup schedule, etc. Weather mild or wild the end result will provide the customer with best all around tune. Essentially, this like having POPSRACING in person calibrating you vehicle but without the onsite/travel expenses associated with onsite tuning. There is a 14 day window for completion of any calibration work, after which additional tune session rate will be charged. No call no show is not tolerated and required 48 hr notice to reschedule. *** Certain engine combinations do not work and we try to specify up front and leave the choice up to you to move forward with tuning or not. Moates Hardware : contact 585-802-6911. Custom calabration available upon request; additional charge applies. The custom calibration includes support. 4 bank chip: Superchips Custom Tuning’s single program custom 4 Bank chip & 5 Program custom chips are specifically tuned for your 1987 - 2004 Ford. Our industry first single program custom 4 Bank chip & 5 Program chips dramatically IMPROVE PERFORMANCE, GAS MILEAGE, TORQUE and HORSEPOWER while IMPROVING THROTTLE RESPONSE, TOWING POWER and eliminating the factory REV and Speed Limiters. Easily switch between Power Levels using our Dial Selector. XCAL III: The XCalibrator 3 AKA XCal III is a very advanced version of our existing XCal I and XCal II Flash tool. To meet customer’s requests and advance technology, we have added more user features to the XCal III than any other flash tool on the market. 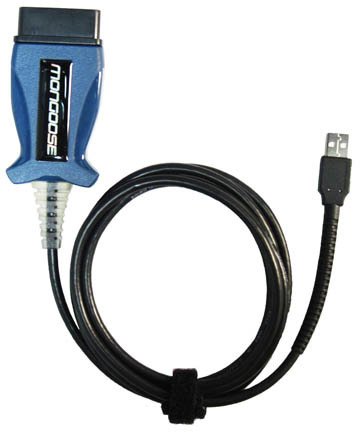 It is the only USB-based tool on the market, which will simplify customer use and save costs from “proprietary” cables that every other flash tool on the market requires for reprogramming. Just like the XCal1, the XCal2 will support any flash-able OBD-2 ford vehicle from 1994-2008. One part number can be programmed to work on any re-flashable Ford vehicle. *It is the vehicle owners responsibility to ensure the vehicle is in SAFE working condition. Automobiles with obvious safety defects will not be accepted (these include bald or cracked/unsafe tires etc.) 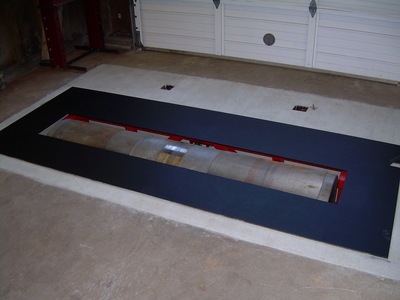 The dyno will be operated to the automobile owners specified speed limit. There are always risks (predictable or unpredictable) in running a vehicle at high speeds. EFI Calibrations / POPS Racing WILL NOT BE HELD RESPONSIBLE FOR ANY VEHICLE DAMAGE.